Rosacea is a skin condition that is estimated to affect more than 16 million people in the U.S. Many people who are experiencing symptoms of rosacea are unaware exactly what is causing it. In fact, here at Dermatology & Laser of Del Mar, one of the most frequently asked questions Dr. Deborah Atkin receives from her patients is: “Do I have rosacea?” Often beginning as a flushing or red appearance in the middle part of the face, rosacea can lead to even more severe aesthetic conditions. It can occur in both men and women, typically those with fair complexions. The good news is, there are effective treatment options for rosacea available at our practice that can significantly reduce the symptoms and give your skin a healthier, more even-toned appearance. Symptoms of rosacea typically begin with an excessively red appearance along the cheeks and nose. This “flushing” may even spread to the chin or forehead. Eventually, rosacea may cause spider veins to appear on the cheeks and chin, and even lead to pimples and enlarged oil glands along the facial skin. Rosacea can also affect the neck and chest, and in some cases, the condition can lead to irritated or watery eyes. 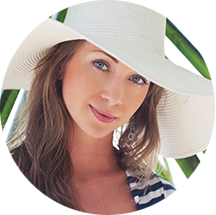 If left untreated, rosacea can become progressively more apparent and the symptoms can become worse, ultimately having a noticeable effect on your appearance and an impact on your self-esteem. The treatment options for rosacea have significantly advanced over the years with the introduction of cosmetic laser technology. The VBeam Perfecta® laser is often one of the most effective procedures for reducing redness and the tingling sensation that rosacea can cause. In just a few simple treatments, the VBeam laser can improve the appearance of your skin with no downtime necessary after the procedure. There are also oral medications and prescription topical creams that can control the inflammation around blood vessels and decrease redness. These often show the best results when used in combination with laser treatments. Skin care products like SkinMedica Redness Relief Calm-Plex may also be effective at diminishing the facial redness that rosacea can cause. While some cases of rosacea may be due to natural abnormalities with facial blood vessels, the red and flushing appearance that is symptomatic of rosacea may also be caused by environmental and lifestyle factors. These can include excessive sun exposure, skin bacteria, alcohol consumption, spicy foods, exercise that is too strenuous, time spent in saunas, and even conditions of high stress. By avoiding these so-called “triggers,” some patients may be able to prevent continuous flare-ups of rosacea. However, since the exact cause of rosacea is unknown and each patient is different, there are no guaranteed measures that can prevent rosacea. If you would like more information on rosacea, or if you would like to speak with Dr. Atkin in a private consultation to talk about this condition, please contact Dermatology & Laser of Del Mar, or call us at (858) 350-7546.